We all get frustrated with random calls and emails from people we don’t know. Services are set up to block unwanted solicitations and the Federal government has a no-call database you can submit to. So how do firms still get your info? The enemy may be closer than you think. Some tech firms who are your paid vendor actually make money by turning around and selling your information to other providers. This means your contact information goes out to anyone willing to pay the tens of thousands of dollars for it. It’s one thing to subscribe to a third party who provides this for a living, but something completely different when it is the vendor you hired who is selling you out. SMArtX Advisory Solutions values your trust and the relationship with our firm. We do not sell your information to anyone, no matter how many times they ask. 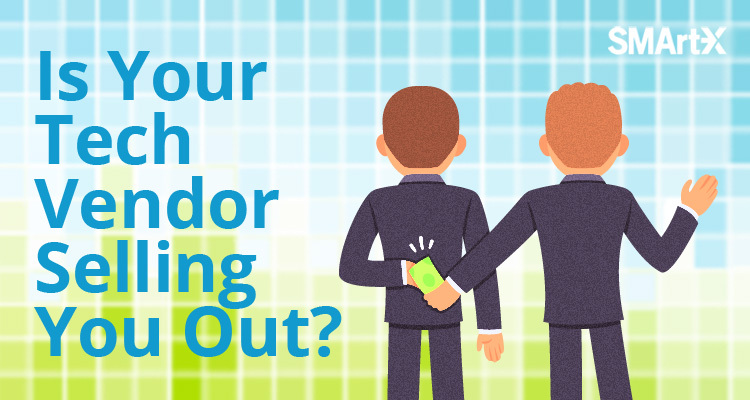 The famous Godfather adage goes ‘keep your friends close and your enemies closer’, but with vendors like these, it may be impossible to tell the difference.